And here's my other favourite Jeff Beck album. As great as his '70s releases were, many of them don't offer much that "Wired" doesn't. Beck's most recent studio release is this, the astonishing "Emotion & Commotion". In what was an interesting step away from his usual works, "E&C" contains a wide variety of styles. This includes (but is not limited to) the hard-rock track "Hammerhead", the cover of well-known soul song "I Put A Spell on You" and the orchestral album-closer "Elegy for Dunkirk". As usual, most of the tracks are instrumental, but where there are vocals, Beck has enlisted the help of such well-known singers as Joss Stone and Imelda May. 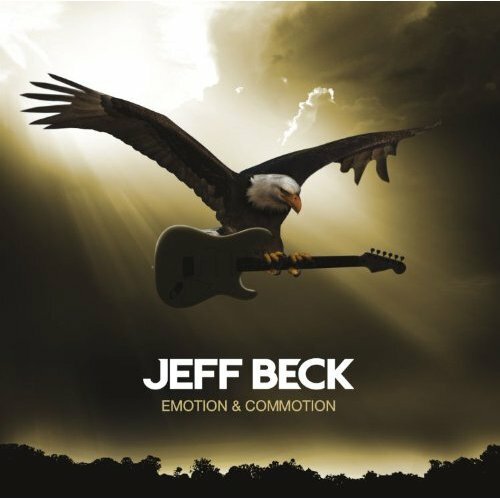 Although this album is lacking somewhat in original compositions, the cover versions are done in Jeff's unique style which makes them massively enjoyable to listen to again and again.